Yes, we’ve been faffing again. Starting with our first 2018 trial on 28th Jan we are making a subtle change to the way we mark the easy Green route – other routes are unchanged. 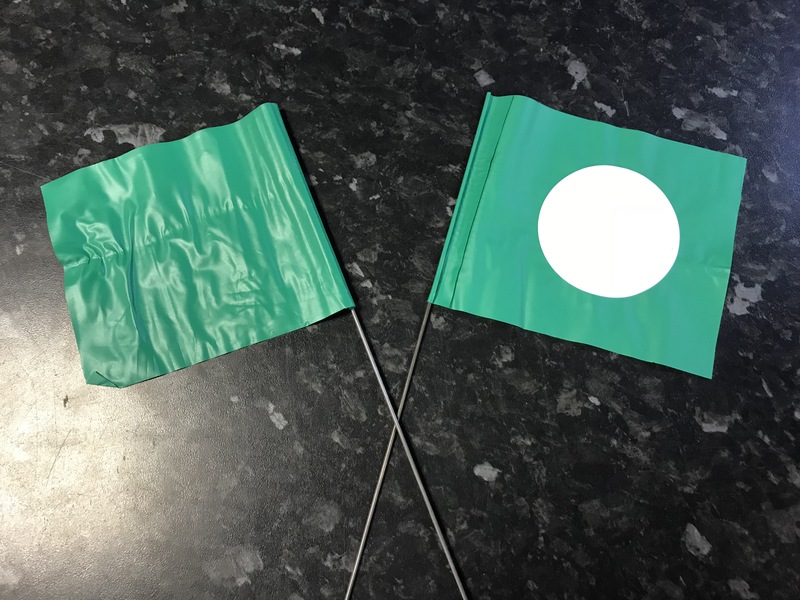 We are still using Green flags, the flag on the left hand side will continue to be plain green, however the one on the right will be green with a white spot on it. Why? to make it less confusing for easy course riders to find their way through the flags; if you find yourself aiming for a green flag mid section you’ll immediately know that if it’s plain you need to pass to its right and if it’s spotty you need to pass to its left.